The Spanish Government has appointed Esteban García Vilasánchez as new President of Navantia. With a wide experience in the naval sector, he was previously the Director of Programs. 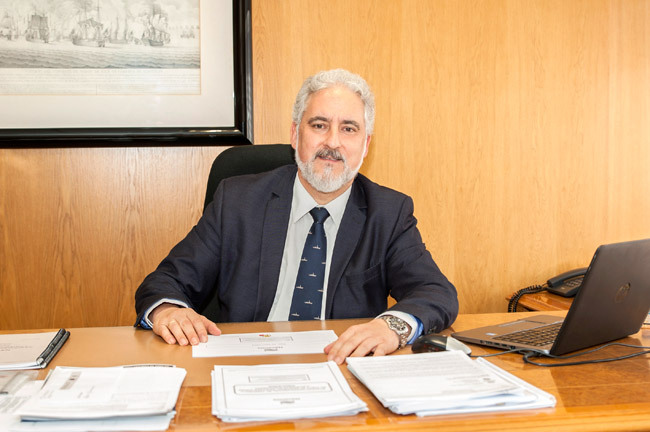 Esteban García Vilasánchez initiated his professional career in 1990 in Navantia's Offshore area, reaching in 2004 the position of Director of Fene-Ferrol Shiprepairs. In 2009 he was appointed as Director of Fene-Ferrol shipyard, being principal part in the management of the Norwegian Navy and Spanish Navy frigates programs, as well as the Spanish Navy LHD Juan Carlos I and Australian Navy LHD programs. In 2012 he became Industrial Director and later Director of Programs, position held until this moment. The newly renowned president will approach the new Strategic Plan for Navantia, stimulated by SEPI (the Government institution that owns Navantia) with the purpose of reinforcing the efficiency and sustainability of the company, promoting the impact on the economic areas of Bay of Cádiz, Cartagena and Ferrol area, where the shipyards are located. Another important issue on the Strategic Plan shall be to Increase the International proyection of Navantia on the more Quality Demanding Programs. Esteban García Vilasánchez replaces Jose Manuel Revuelta Lapique, who had requested his relief to the chairwoman of SEPI, Pilar Platero.